joint filing taxpayers can contribute up to $400.00 if they contribute to extracurricular activities in public schools? Extracurricular activities are optional, noncredit, educational activities, which supplement the educational program at school whether offered before, during, or after school hours. Examples of such programs are field trips, enrichment activities, athletic and band programs, and after-school clubs, which are generally not fully funded by school districts. These programs depend on fees from students. This tax credit is available to all that reside in Arizona and have a tax liability at least equal to that of their donation. You do not have to be a parent of a child to benefit from this law; however, corporations are not eligible. Contributions are donated directly to schools, not to the school district. This means your donations are used directly to support the Pima School of your choice. Contributions to public schools have always been tax deductible. A tax deduction allows you to subtract the amount of a contribution from the amount of your taxable income. The new law, however, allows a tax credit, which is subtracted from the amount of taxes you owe. A tax credit is a full refund of your money provided you have a tax liability equaling your donation. 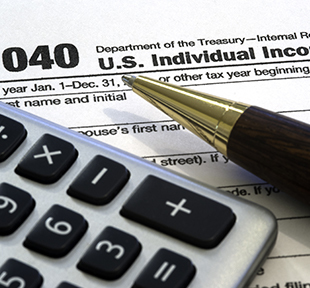 The $400.00 limit also applies to taxpayers that file a joint return for the taxable year. A husband and wife who file separate returns for a taxable year for which they could have filed jointly may each claim only one-half of the tax credit that would have been allowed for the joint return. Single taxpayers or heads of household cannot exceed a $200.00 contribution. The credit allowed is in lieu of any deduction pursuant to section 170 of the internal revenue code, for charitable contributions, which would also be taken for Arizona tax purposes. In other words, you cannot take the deduction on your state income tax return and the credit as well. To claim the tax credit, taxpayers must contribute to an extracurricular activity for which the school district requires a fee or funds to operate the program. Donations must follow the specific extracurricular criteria identified in the law to be eligible. The governing boards have approved a fee schedule, which designates the appropriate extracurricular programs. These are listed on the response form. How Can I Receive My Credit? Fill out the attached response form. Attach your check made out to the school of your choice. Indicate on the response form how you would like your donation to be used. If you have no real preference, you may choose the category that says, "School may designate program use." You may pay your fees in person in the school administration office; or you can mail the form to the district, Attn: Lucy. Upon payment, a pre-numbered tax credit will be given as your receipt for tax reporting purposes. Like all tax documents, this form requires that you list your social security number. What Do I Do When I Prepare My Taxes? We will immediately issue a pre-numbered receipt. Keep this for when you file your Arizona State tax return. Show this receipt to your tax preparer, who should have Arizona form 322 to report your tax credit. This form is available on the Arizona Department of Revenue website. You will receive a full credit for the amount contributed to the school as long as your Arizona Income Tax liability for the year equals or exceeds your donation. Because Pima Schools must keep strict record of the funds received and report their use to the state, there will be no refunds should you discover that you do not have a tax liability to cover the tax credit. You are able to carry the credit forward up to five years. The donation can also be used as a charitable deduction. Can I Mail My Check? Each building principal is aware of this procedure. However, if you have questions or need additional information, please contact Jennifer Roberts, business manager, at (928) 387.8000 ext. 8003.